Well, after yesterday's fiasco with my email being hacked I think I'm back on track today and ready to share a new card design with you! I'm sure many people have visions of these little birds against a bright blue sky in a leafy green tree but for some reason I envisioned them within a night scene; maybe I'll attempt a daylight version for my next project using the set. Hope you enjoyed this share today! I'm off to work outside; the forecast warns of another five days of rain and if I don't make an attempt in my garden today I'm going to be left with a jungle! 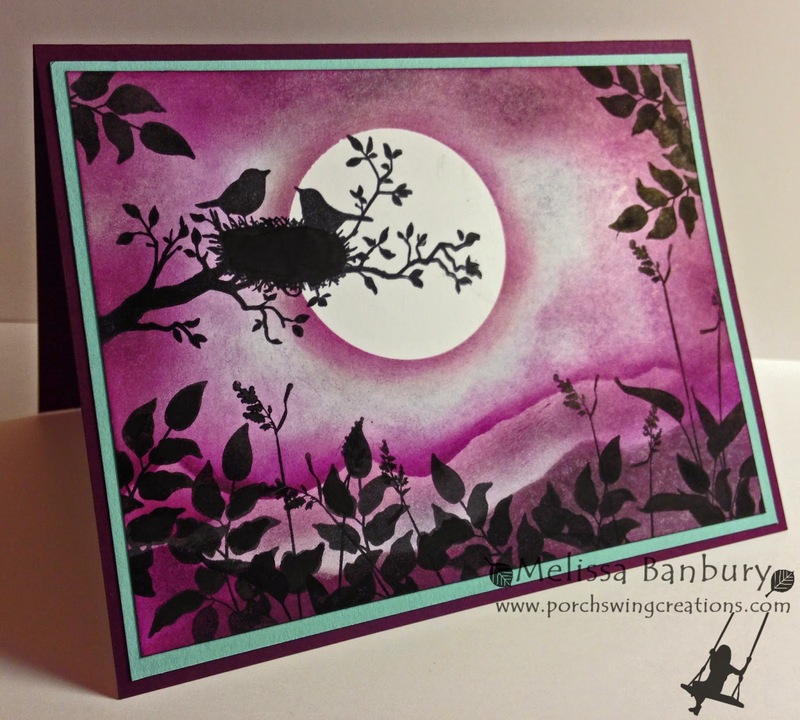 Stunning card, I would love to CASe it when I get the stamp set please? Do you have a video for this card? New to card making and love this one! Very pretty Melissa. I'll have to try this. Thank you. Another stunning card. Well done.